Our fabulous personalised full colour banners are printed on superior quality banner paper. The banners are available in two sizes: 21cm x 90cm and a deeper banner measuring 29.7cm x 90cm. 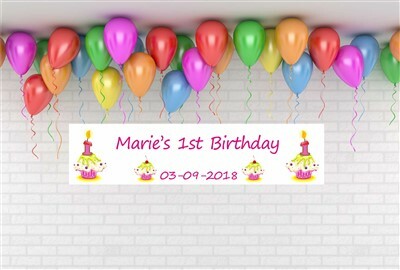 We can create a banner for twins, triplets etc, please choose your preferred design, then state the gender of the twins in the comments box. *** Please click the circle above your chosen design.